1. Drama in round 8: Fabiano Caruana explains how and why Carlsen fell behind in the world championship. 2. Missed chances and hidden depths: let Karsten Müller reveal all about the ending of the 3rd WCh game (video). 3. 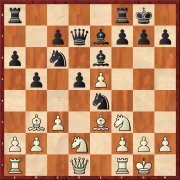 Decision in New York: enjoy Daniel King’s video summery of the exciting WCh tiebreaks! 4. 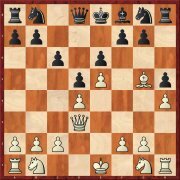 Fortune favours the brave: Wesley So shows how in the London Chess Classic he was able to escape the noose in his game against Levon Aronian. 5. 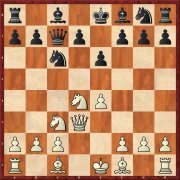 “A brilliant gambit line”: with GM Simon Williams play through the Aronian-Rapport game move by move and feel some enthusiasm for the Chigorin Defence! 6. Perhaps the most important game in the EU Cup: Dmitry Andreikin analyses his win with Black over the top Cuban player Leinier Dominguez. 7. “Open up the kingside files, get the queen in and do some damage!”: Let Andrew Martin explain to you some new winning ideas in the Trompowsky (video). 8. What’s new in the Pirc Defence? Openings expert Mihail Marin outlines the most important trends in recent years. 9. Imperial combination with the "octopus knight": grab your chance and together with Oliver Reeh conjure up a brilliant final attack over the board. 10. 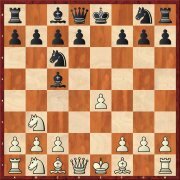 Queen's Pawn Game á la Kramnik: in his article on the opening Martin Breutigam invites you to try for yourself 1.d4 d5 2.Nf3 Nf6 3.Bg5. 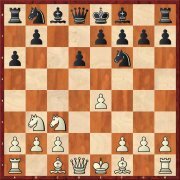 4.h4 is there as an alternative to the extremely complicated 4.Nf3. 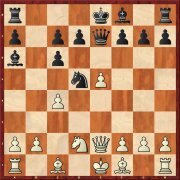 The move 5.Bd3 first became popular when it was combined with 7.Bg5! which led to the diagram. Petra Papp sees nice play for White in most lines. 6.Qd3 is still quite new. As Georgios Souleidis explains, the white queen is aiming for g3 and in the endgames above all Black faces difficulties, which is reflected in very poor statistics. The so far rarely played 6...Nf6 is worth considering. The move by the white knight looks unsound, but White is wanting to wait and e.g. reply to 6...e6 with 7.g4 and a Keres Attack. 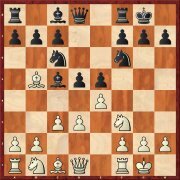 According to Krisztian Szabo Black has several good replies to 6.Nb3, but mostly, however, he is still taken out of his preparation. Of course the early queen move cannot be used permanently to combat the Winawer Variation, as Nadezhda Kosintseva points out at the very beginning of her article. But it is astonishing in how many lines White obtains an advantage. In the Mieses Variation with 8...Ba6 at present 9.Nd2 is taking over from the old main continuation 9.b3. 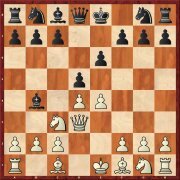 According to Robert Ris White cannot obtain an advantage with the knight move either, but the subsequent positions at least offer plenty of options. 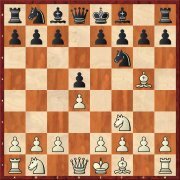 For a long time 5.Nb3 has been overshadowed by the alternatives 5.Be3 and 5.Nxc6, but of late the withdrawal of the knight has been seen more and more often. But as Igor Stohl demonstrates in his article, there are several ways for Black to obtain satisfactory play. The move 6...d5 is as aggressive as it is principled. In his article Evgeny Postny examines the capture on d5 as well as various ways of defending the e4-point. As things stand at the moment Black can hold his own. Previously in this variation Black tried to support his Ne4 (with ...f5 or ...Bf5), but according to Alexey Kuzmin nowadays players exchange as quickly as possible on d2 and put pressure on e5 or play ...Na5 to exploit a certain lack of harmony in White’s position. In 2016 Vladimir Kramnik played no fewer than eight games with the somewhat surprising 3.Bg5 – though all were in blitz chess. 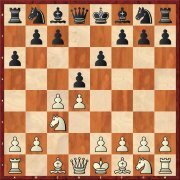 In his article Martin Breutigam explores predominantly 3...Ne4 and shows that Black still has some problems to solve. The old Janowski move 3...a6 is becoming fashionable again. Tibor Karolyi presents extensive investigations into all variations and comes to the judgement that it is a serious opening and that not much can go wrong for Black if he plays it well.